This was originally posted in August of 2010. Today I thought I’d contribute my two-cents worth regarding the eternal debate…pantser vs. plotter. It’s really not a debate as it is a personal preference. Do you outline your plot (plotter) prior to sitting down and writing a manuscript, or do you tend to fly by the seat of your pants (pantser) as you write? In case you don’t already know, there is no right answer. Both methods are viable and used by multitudes of writers. Pantsers tend to believe that outlining stifles their creativity, preferring to have their story emerge organically as they write. Plotters, on the other hand, see their method as allowing them to map out intricate story elements and avoid unnecessary re-writes or revisions. The amount of detail in these outlines range from the very basic on a single piece of paper, to the highly complex that encompasses an entire notebook by itself. Me…I’ve always been a plotter. 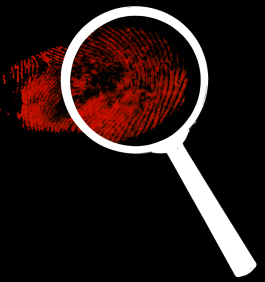 Writing mystery/suspense novels – both adult and YA -- I find it necessary to use this tool to ensure clues are dropped and time related events are coordinated properly. But as it turns out there’s another reason. Let me illustrate it for you. Anybody who’s been around construction, or undertaken a home project or two, will recognize the term plum line. It's a piece of string, coated with colored chalk, and when you roll it out and snap it against whatever you're working on it imprints the chalk on the surface. 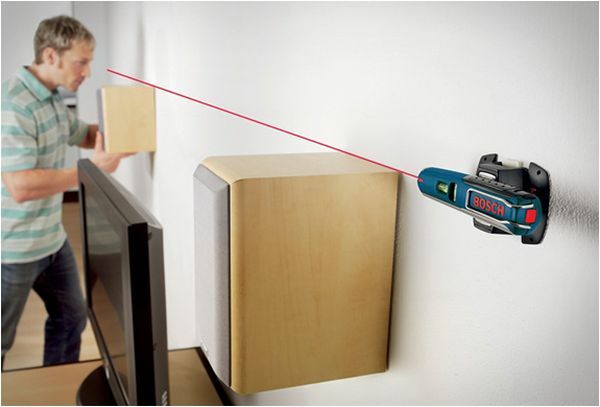 This provides you with a visible reference point to ensure you either remain level, or lay things out in a straight line. 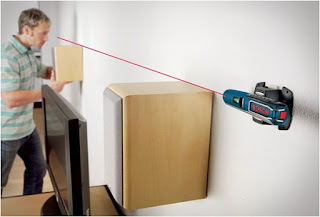 Nowadays they use lasers to create the lines, but the concept is still the same. Although I outline and plot events in my chapters very carefully, I still allow room for it to breath and grow. When I'm writing I make adjustments to incorporate idea’s I may not have previously considered, because it makes sense at the time and it moves the story in the direction I want to go. But sometimes a small change early on can turn into a major deviation when the project nears completion, and without a plum line to keep you centered and maintain a point of reference, a writer can easily drift away from their core premise. The result could end in disappointment, or at a minimum major re-writes. When I completed the final chapter of my last book, something felt off. I couldn't really pin-point what it was, but I had this unfulfilled sensation. I hadn’t referred back to my outline while writing the last third of the book (a mistake) so I decided to go back to it in case I missed something. What I discovered was a minor change I had added early on that snowballed until the way the book ended was thematically different than what I’d outlined. I had drifted off the plum line. I made the necessary adjustments and my happy face was back. What about you? How do you tell when the flow of your story is veering away from your plum line? This was originally posted in March 2010 – but it still rings true today. I bet many of you already know to what I’m referring. I’ve read it in your blogs, gathered as much from the comments you’ve left here. It’s a feeling that’s almost indescribable, and I’m worried that I might fall on my face trying to communicate what it is. It’s always with you, but there are certain times when that wave of euphoria gushes from within and promises to lift you above the everyday. If scientist discovered a way to harvest it and turn it into a drug, entire cities would grind to a halt as the number of overdoses reached epidemic proportions. Do you know what I’m describing? That’s right. The feeling a writer gets when he knows he’s written something that has significance. A piece of your work that has successfully toyed with a readers emotions in some way. Maybe it’s a simple blog post that elicits a deluge of comments, a short story that causes your best friend to laugh uncontrollably, a poem that opens the tear ducts, or a novel that when a reader finishes elicits a deep and lingering sigh. A writer who has experienced something like this, on any level, never forgets what it feels like and is always searching for ways to re-create it. Does anybody know of which I speak? I use that feeling like a shot of adrenaline sometimes, when the world is doing its best to bring me down. I’ll draw upon memories of praise from my awesome critique partners. 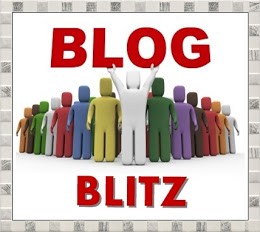 I think about my blog followers, those talented fellow writers who have linked themselves to me, and I to them. I fall asleep at night with a smile on my face, recalling a recently written scene in my current WIP, imagining how my wife will react when she reads it for the first time. For me, this blog is the origin. Everything I have accomplished so far stems from here, and from you. My first baby-steps into fiction writing started here. I have met, become friends with, and collaborated with, some truly amazing writers…and individuals, all from here. My journey is just beginning, but I am confident that my foundation is a solid one. I reached the 200 follower milestone last Friday. Honestly, it kind of snuck up on me. Not that I wasn’t paying attention to the newly arrived, because nothing could be further from the truth, I just didn’t notice the number. Originally, I planned to throw another celebration to mark the event, but I have since thought differently. I wrote when I celebrated the Mighty 100 that I wanted to focus more on generating content that would increase the number of comments left by the “like-minded”, and if I did that the followers would take care of itself. If you build it…they will come. I’m going to continue on with that philosophy. In the meantime, I’ll continue to try throw a little entertainment your way. And if I hit a chord, please let me know. It doesn’t matter if you’re the first commenter, or the 50th, they all contribute to that feeling we writers thrive off. They say the home is where the heart is. In my case, this blog is my home…and I carry it around in my heart. This was originally posted in January of 2012, but it is a natural follow up to Monday’s EasyBeauty topic. It has been edited with that in mind. Anybody remember Jan-Michael Vincent? 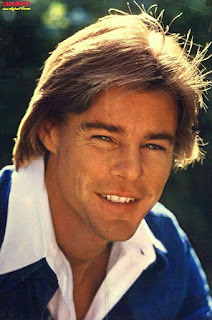 He is an actor known mostly for a string of minor movie roles, but he was mainly famous for his part as Stringfellow Hawke in the 1983 television series Airwolf. He had fallen off the radar since the series was cancelled, that is until a couple weeks ago when I was watching some run-of-the-mill TV movie and there he was again. His reappearance took me by surprise, but it wasn’t because of how much older he looked, or how gruff he sounded, but rather how “stiff” his acting was. Granted, he never was Sir Laurence Oliver, but back in the day he was rather expressive and communicated his emotions quite effectively. Looking at him now in this low budget film, I couldn’t get over how he reminded me of a handicapped vocalist who could only sing one note. Surprise, elation, fear, joy, anger…all looked the same on the man’s leathery face. The words coming out of his mouth were the only clue to the emotional state he was attempting to portray. It was as if he was dealing with the side-effects of having glanced at the snake-headed Medusa. It was hard to watch. I had seen this before with other actors, but now it got me wondering about the people in my life, friends and family both, who were getting up there in age. For some of them the highs and lows seemed to have eroded away much like Jan-Michael Vincent, washing out all of the bright colors with it, leaving behind a bland monochrome version of their former selves. It seems like arteries aren’t the only thing that harden when we grow old. That made me wonder. On Monday I talked about the different between inner and outer beauty, and how Father-Time isn’t always kind to that outer beauty. Is the same thing true for our inner beauty? Does our emotional range, the peaks and valleys of who we are, wear down over time…or is it just our ability (or energy) to convey them? Can it be there are feelings being held hostage behind those wrinkles and liver spots? Sure, I see flashes of their old selves from time to time, but those are the exceptions and not the rule. That makes you wonder…could this be happening to me? I’m not a spring chicken anymore, so maybe. 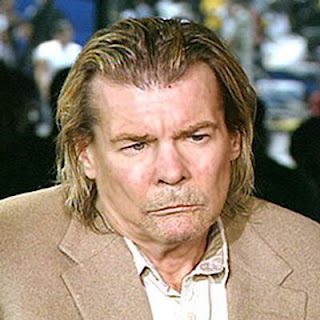 How old is Jan-Michael Vincent? He’s 67 now, so he’s got a few years on me. But I’m sure the hardening process doesn’t take place overnight; rather it’s probably something that happens so gradually that we’re not even aware what’s happening. Maybe there’s some kind of vitamin I could take to slow it down, like the other supplements I take for preventative purposes. Ginkgo Biloba supposedly helps with memory retention and Acetyl-L-Carnitine improves the firing of brain nerve messengers, why not a pill that prevents emotional fossilization? I know what my wife would say, take a trip to Disney World every year; it’ll keep you young forever! But she would also say I have nothing to worry about because I’ve always been the stoic type, emotionally economical when it comes to being expressive. That may be so, but what about my writing? Me being a writer is comparable to Jan-Michael Vincent being an actor, the prose is my acting…a way to express myself in a way I feel most comfortable. Is it destined to stiffen right along with my outer demeanor? I’m hope not. My optimism lets me believe that it will continue to be the portal that allows me to escape my insecurities and let everybody see the true me. Anyone Got Time for a Beta?